It's a big race when you get to start with argyle socks! 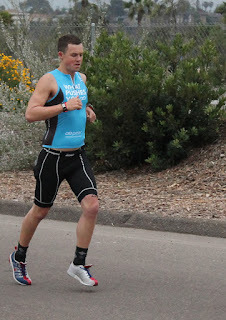 Fun morning racing in the Spring Sprint Duathlon. 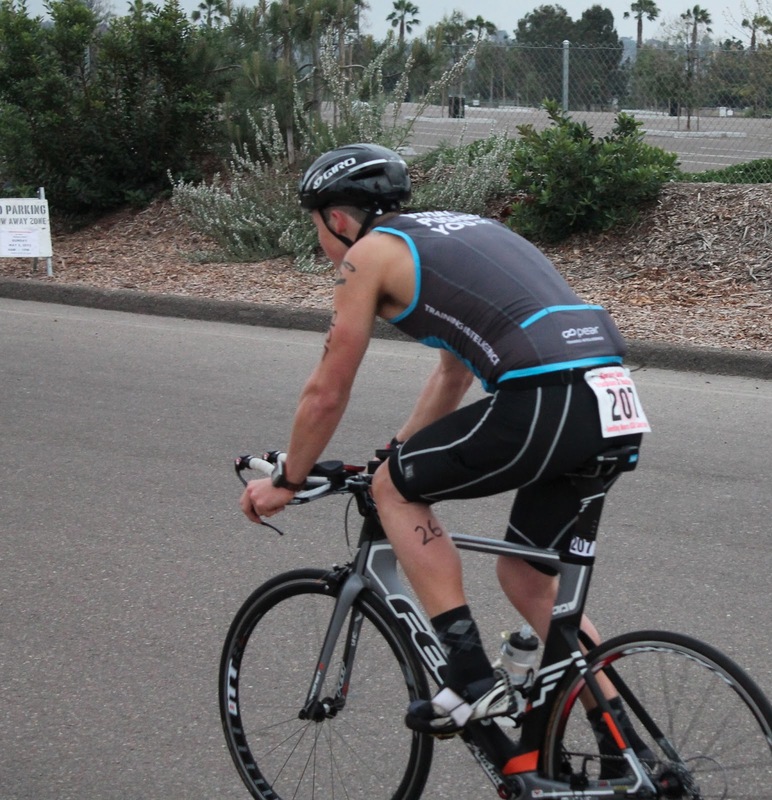 This was the first time I've raced a duathlon since my first multisport event in 2010, the Orange County Duathlon. I'm racing that event again this year in two weeks so the sprint was a good prep. Early morning with a 6:45 race start time. Up at 4:30, 178 blood sugar. Fast acting insulin shot, get ready, Clif Bar and off. 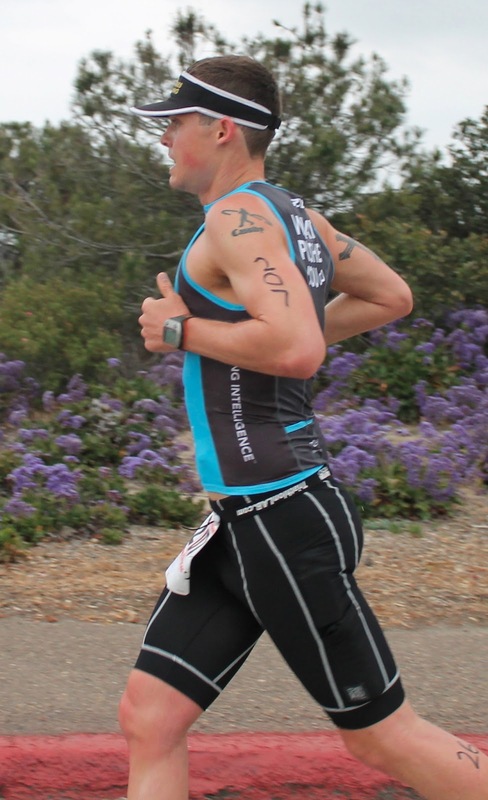 After a warm up and another unit of insulin mixed in with another Clif Bar the race was off. 1 mile run, 10.5 mile bike, 5k run. A mile run out and back. I felt great for the start. 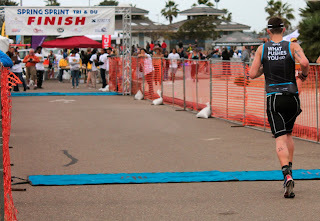 It's been one nagging leg thing after another since the ankle injury so I was happy nothing was acting up once the race had started. 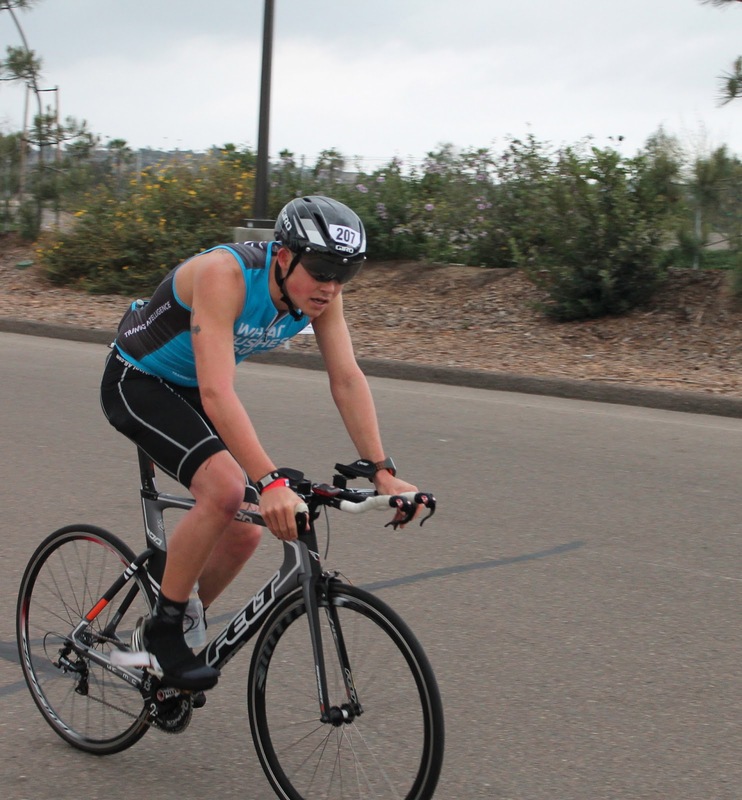 Hop on the bike for two laps around Fiesta Island for about an 10.5 mile bike. The winds on the back side were the strongest I've ever felt on the island but my legs felt strong. I played back and forth with another racer for about a lap then finally completely over took him around the start of the second lap. I knew he would be a far stronger runner than me so I wanted to add whatever time I could. Around and around the merry-go-round we go for the two laps then back to transition. Off the bike and putting the running shoes back on we went out for the two lap run course. Here is where it started to get cloudy. I couldn't tell if I was having a low blood sugar or if it was just the blood rush, I tested while still running (yes, you can do that). 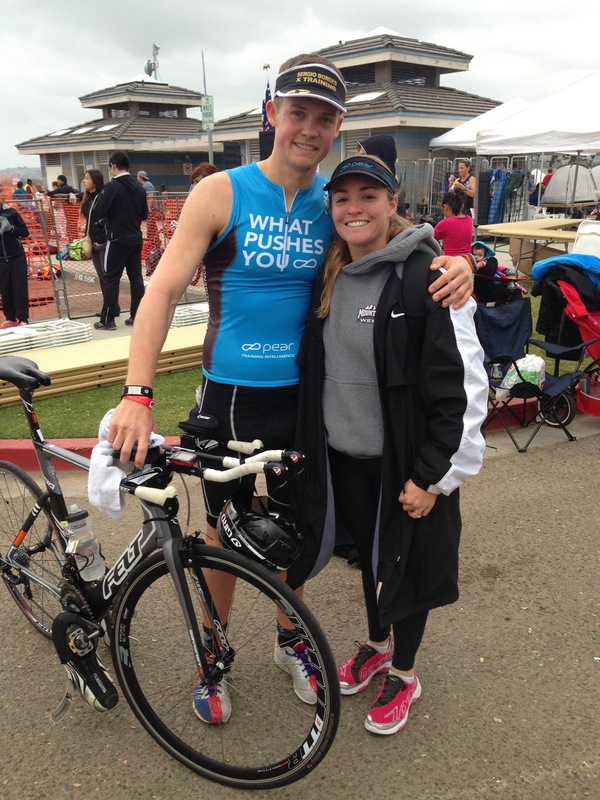 Blood sugar was 140, perfect for the race. I couldn't believe when I passed the first mile that I had only gone that far. Everything seemed to be in slow motion but things seemed to speed up from there. The first lap of the run was my own personal hell but the second lap I felt good. I finished strong and was happy with how the day went. The gentleman I went back and forth with during the bike ended up passing me near the middle of the second lap on the run. Looking at the results he ended up beating me by twenty seconds. If I could go back I would have pushed the bike a lot more. My running this year is sloppy to put it nicely but I've made improvements on the bike for the long term and I'm gaining confidence with longer distance running. 2nd in my age group to the overall winner, 10th overall out of 112. Results here. Jamie was a trooper today, with a 4:30am day start she beat the rush to take all the pictures and support me through the morning.